I don't know many people who are super excited about walking down a pitch black hallway. The problem with walking down that hallway is that you can't see what's in the hall. Something might jump out at you. You might trip over something. We're afraid of the unknown. We want to be 'kept in the loop'. We want to know what's coming next. Some people deal with ambiguity better than others. Some of us want a step by step itinerary. Others are fly by the seats of the pants. But I think even those people want an idea of what's going to happen. This fear of the unknown can be fleeting - the dark hallway example. You face it, you turn on the light, it's over. But if it's continual it will lead to anxiety. I struggle with anxiety and it all relates back to the unknown. When I don't know what's going to happen next in a tense situation, it snowballs quickly into anxiety. In these situations, it's helpful to talk it out with a calm friend. It's also helpful to make some plans. If this happens, I can respond like this. If that happens, I can respond like this. But the most helpful thing I can do is pray. 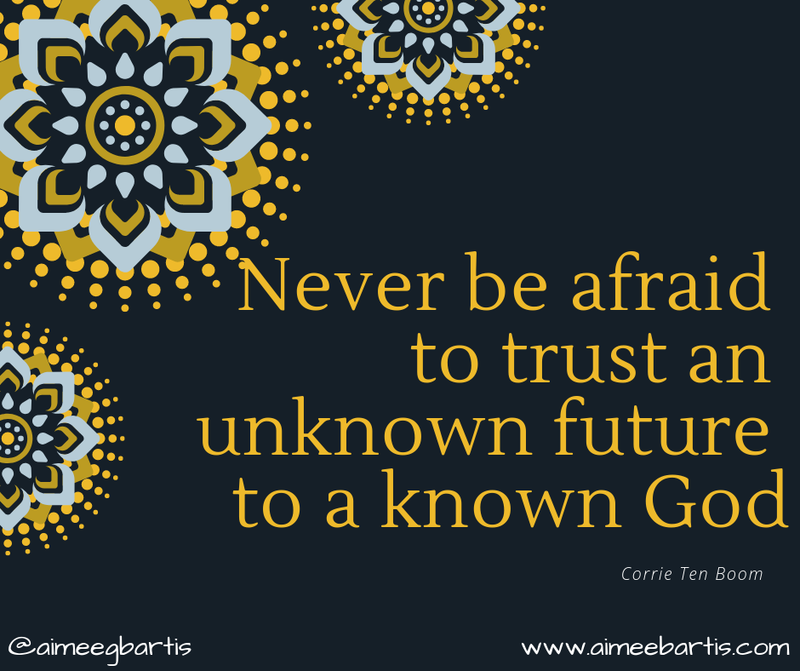 When I worry about what's going to happen next, I am saying to God that I don't trust Him. Read that again: when I worry about what's going to happen next, I am saying to God that I don't trust Him. It took me a long time to wrap my mind around that. If I say all this but then spend time worrying about a hard conversation I negate all this. Instead, I need to bring the hard things to Him in prayer and trust Him.